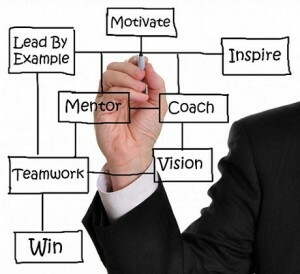 iMPACT Business Coaching adds immediate impact to clients by re-engaging Ownership with Employee Energy. We apply the iMPACT 6 Pillars of Business Success to create current and long term value to clients who want to reach the next level of Business Success. Our goal is to support your company’s vision with iMPACT. We work with small to mid-sized companies as they evolve to the next stage of their business life cycle. We approach this process by asking, “Is your business where you want it to be?” Then, as your partner, we guide and support you through the transition necessary to achieve your vision. Each business, new, old, struggling, successful, is made up of the 6 Pillars of (Business) Success. Below we have outlined them. They are all equally important, but never in perfect harmony at any one time. As a business (owner), we need to continually work on each individual Pillar, in and of itself, but also as an interactive system. At iMPACT, we apply current and concentrated focus on one or two in the moment as we strengthen the Pillars that support your Business foundation allowing you to grow and prosper. Do you miss time with your spouse or family? Are you up late at night? When was the last time you could go on vacation? Marketing, sales? Do you have enough? Do your potential customers really understand why you are different? Are you competing on price too much? Is your business model working? Do you have Cash Flow? Can you project it so you can sleep at night? Where is your future? Do you know your numbers? Lack of Leadership, teamwork? Too many or not enough meetings? Incentives for employees? Setting expectations and accountability. Employee retention and motivation. Why are you working so hard every day? To build your business? What is the future for you, your family, your Legacy? How will your business live on without you? Where do you want to improve? Do you want to be more resilient, scalable, sustainable? Operations, Vision, Finance, Culture, Empowerment, Process, Performance, Results. The goal in our Program of Process Improvement through Business Coaching and Business Consulting is all about Implementation and Results. If we only talk about ideas and solutions, then we are only half done. We look forward to working side by side with you to get practical and effective improvements in place that are sustainable and scalable. We truly changes lives, most directly through your business life. We consider your business a family and much of our work revolves around improving the relationships within your business family. In doing so, we create a better work environment for both you and your employees resulting in lower stress and higher performance. A great place to start is our testimonials page to see what is possible. You likely have been struggling with your issues for awhile. And, you know, they aren’t that unique. That’s why our methods work consistently even as we highly tailor our work for each client. Business Consulting Projects and driving employee engagement and performance.